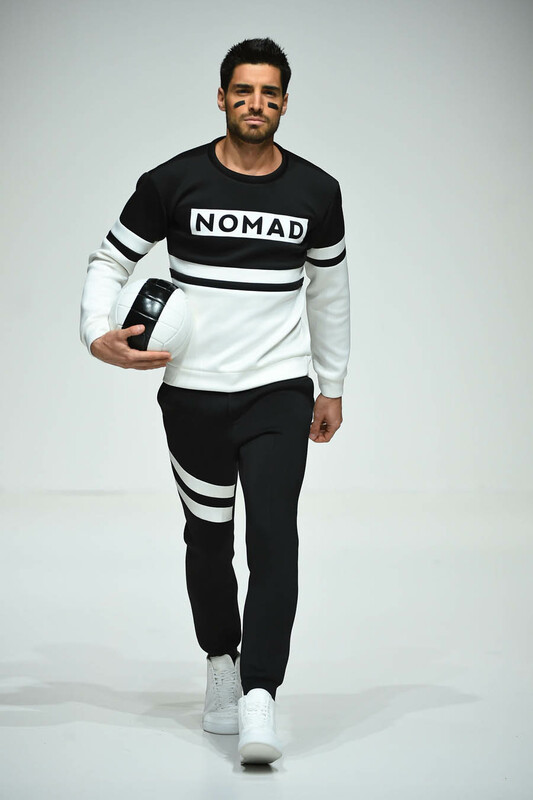 House of Nomad, our very own fashion brand born in the UAE, debuted its show-stopping sports luxe collection at Fashion Forward last Sunday 12th April. The collection took me back to high-school. If you always envied the jocks, the coolest kids in class, find redemption in House of Nomad’s flashy new-age take on sports luxe. 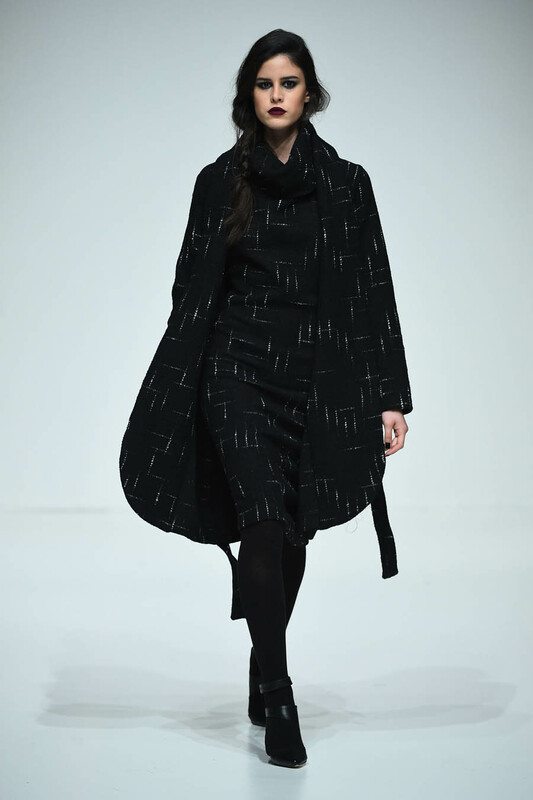 The show commenced with the shrill ring of a school bell, and the catwalk streamed in an array of school-inspired looks from knee-high socks to loose braids, and sporty graphic detailing. We took inspiration from 90’s movies like clueless and cruel intentions. This collection is alive because “we wandered into a boarding school..” Imitating variations of groups sets in school, Jocks, cheerleaders & so on. Teenage school grunge gets a grown-up makeover with sophisticated cuts, and luxury fabrics. 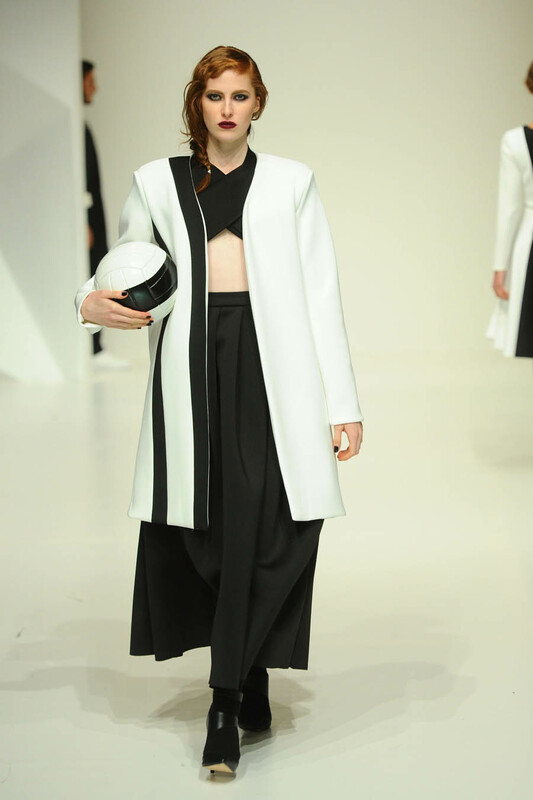 The silhouettes are form-fitting yet fluid, and the play of two-tonal shades added drama and oomph. House of Nomad caters to both genders, and the brand takes inspiration from the city of Dubai, a melting pot of cultures, a true nomad in this sense. House of Nomad was co-founded by Dubai residents Ahmed El-Sayed and Saleh Al-Banna. Ahmed graduated with a BFA in Fashion Design from Virginia Commonwealth University in Qatar, and Saleh Al-Banna graduated with a degree in Graphic Design from The American University in Dubai with experience in running his multinational family business. The label is based on the premise of a Nomad: a wanderer with no geographic boundaries, living in perpetual motion from one temporary dwelling to another. “Growing up in the GCC we noticed that our region is a very transitional place for the expatriates that live here. To us they seem like nomads, us too, we are always on the move, exploring countries, different cultures. And so we liked the name nomad, to us it’s a representation of the times we live in, we are all wanderers, trying to find a place for us to settle in this world.” – House of Nomad (Gulf News, 22nd Feb 2014). All photography used in this post are courtesy Getty Images. Posted in Fashion Designers, Fashion News and tagged catwalk, dubai, fashion, fashion forward, house of nomad. Bookmark the permalink.